As the demands on my time these past few weeks continued to pull me away from blogging I was left watching quite a few tech happenings from afar. One of the big news items for this past week was the new Nook Color eReader. The rumors were true that Barnes & Noble included “color” as the biggest new feature. What we also learned is this isn’t an eReader of the e-ink variety. I own both a Kindle 3 and an iPad and both have their strengths. If I could only own one of the those though I’d probably choose the Kindle. I say this because I already own a small, light laptop that does the job for web browsing and the other stuff I need to get done. So for an additional device I really am looking for a true reader – something that is made with book reading as the first priority. Paper and Mirrors – eInk is a pleasure to read on for long periods of time. I look at an LCD monitor and Plasma TV way too much of my day and night already so reading on eInk – like paper is easier on my eyes. And the lack of reflection with an eInk device means I can read it outside and without glare from lights inside. Weight – My Kindle is lighter than most paperbacks. Tablet PCs just aren’t as light yet. 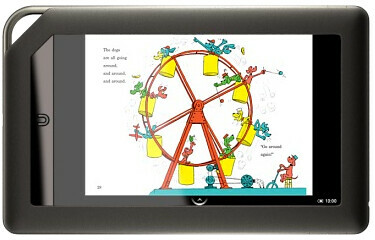 Screen: Nook Color is 7” Color touch-screen. Slightly larger than the Kindle, is touch-screen and color. But it’s also not e-Ink. Memory: Nook Color has 8GB internal memory but also has a microSD card slot. The Kindle 3 has 4GB internal memory with no expandability options. Advantage here is to the Nook Color in a huge fashion. 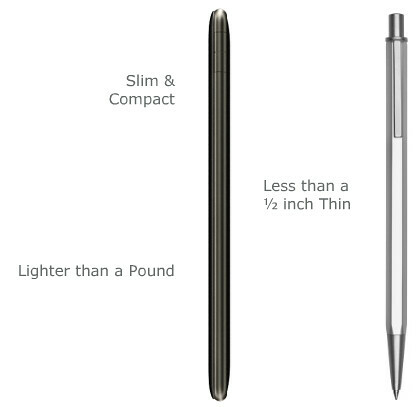 Weight: Nook Color is 11.6 ounces while the Kindle is only 8.5 ounces (8.7 ounces for the 3G version). Advantage to Kindle, but not by too much. Connectivity & Price: The Nook Wi-Fi is $149 vs Kindle Wi-Fi of $139. 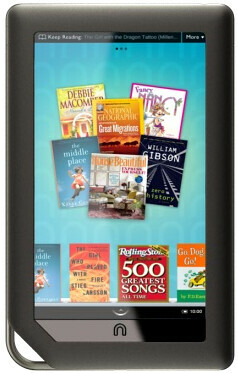 Nook Wi-Fi+3G is $199 vs Kindle Wi-Fi+3G of $189. Again the advantage goes to Kindle but the Nook Color pricing is very good – especially if it can do much in the tablet realm. The new Nook is essentially a low priced ($249) touch-screen tablet computer locked down to Barnes & Noble’s proprietary software. This puts the Nook Color in a strange place. On one hand they’re marketing it as a pure e-Reader shoved inside a tablet. But on the other hand it’s really a tablet without being able to do things most tablets can do – android apps etc. They started off with a Pandora app but not a lot more than that. Personally I think it could make a decent low-cost tablet if they’d free the reins a bit. Transform it into a full-fledged android tablet with the Nook software featured and Barnes & Noble could sell a lot more of these. That’s what I think Amazon would do if they take the tablet route. Bottom line though I recommend a true e-Reader if you read much in the way of books these days. No, it’s not ideal for web browsing or even magazines for that matter, but its far superior in terms of reading novels. As you can see I still favor the e-Ink display for an e-Reader. But I do think the Nook Color could be a force to recon with – especially if they would loosen the reigns a bit an let the device be a full-blown tablet. What do you think? Nook Color, An Android e-Reader… with Benefits – ZatzNotFunny! Linux Fix: the clean up buffer in driver problem-when switching channels, there was data left in driver buffer confusing parser to make a trouble sometime. there isn't an API in Linux DVB to accomplish buffer clean-up, Andrew gave a trick way here. We’re back for another What’s-on-TV Check-In. Lots of very weak premieres this time with a few notables mixed in. Nielson’s “Sweeps” month officially begins Friday the 29th and runs through November 25th. This should mean that the major networks will put forth their best content from each primetime series. Each week GeekTonic covers the TV scene with a complete listing of premieres, finales and specials for the week. 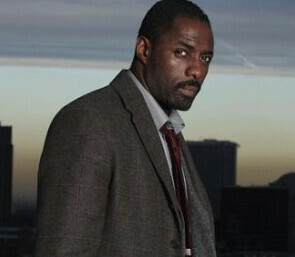 Luther (10pm on BBCA – Available in HD) New drama series brought over from the U.K. Luther is a gripping psychological thriller driven by a brilliant and emotionally impulsive detective. I’ve heard good things about this one. Football Wives (10:30pm on VH1) New drama/soap series based on the cult British soap “Footballers' Wive$”, this remake chronicles the exciting and dangerous lives of three wealthy women, all wives to superstar footballers. Dead Set (11:59PM on IFC) New series for the U.S. brought over from the UK. American Icon: The Hot Rod (9pm on HD Theater – Available in HD) New auto-centric series that provides an in-depth, firsthand look at the history of the famous American hot rod. I’ll Do Anything (9pm on BBC America – Available in HD) New reality series – for the U.S. crowd at least. A reality series that originally aired in the U.K. and now is being re-run here. Contestants attempt to get roles in the musical Oliver. Comedian Graham Norton hosts. Hollywood Treasure (10pm on SyFy – Available in HD) New reality series with Joe Maddalena - the owner of one of the largest auction companies. He auctions some of the most unique and precious movie, television and pop-culture memorabilia. Each episode follows Joe and his Calabasas Ca auction company as he searches for these one of a kind treasures. Sound kinda familiar???? It’s the Great Pumpkin, Charlie Brown (8pm on ABC) The annual, animated classic is back. Airs Thursday and Friday same time. Police Women of Dallas (9pm on TLC – Available in HD) A new reality/crime series that epitomizes the type of premieres happening this week… Do we really need a cops-like reality series about only women cops only in Dallas? Really? The Fairy Jobmother (11pm on Life) New reality series where a “career specialist” works to make the unemployed employed. Red: Werewolf Hunter (9pm on SyFy – Available in HD) A made-for-TV horror movie starring Felicia Day who plays Little Red Riding Hood hunting for werewolves. The Walking Dead (10pm on AMC – Available in HD) New sci-fi series based on the comic series of the same name by Robert Kirkman. The world has experienced a zombie apocalypse. An appropriate premier date for a show like this given Halloween. Moguls and Movie Stars: A History of Hollywood (8pm on TCM – Available in HD) New docu-series narrated by Christopher Plummer that tells the true stories behind the growth and success of the American movie industry.